A Community Savings Bank for Glastonbury! Do you want to own a Community Bank? Imagine if there was a bank dedicated to the South West that put the welfare of its local communities before profits. A bank that helped local economies to grow by supporting all residents to upskill, regardless of their financial means. 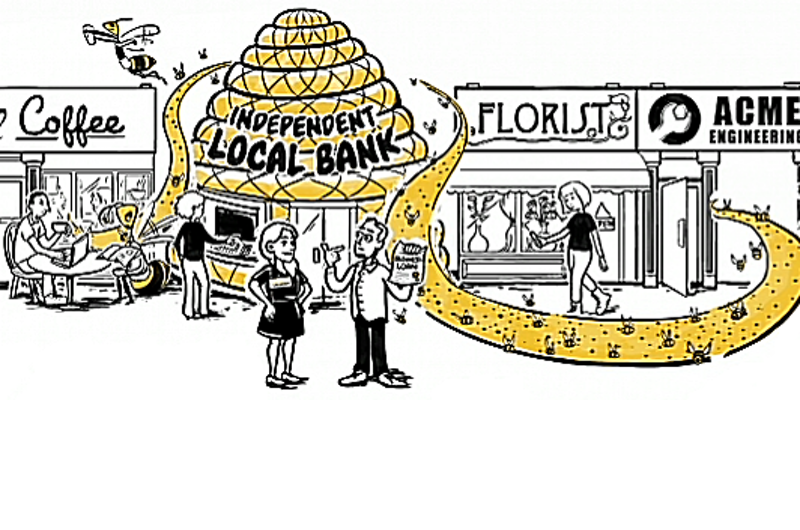 A bank that empowered people to grow their ideas into thriving local businesses. A bank that people trusted. What might the South West look like in twenty or thirty years time? During the evening, the RSA’s Director of Economics, Tony Greenham, discussed the economic and social case for regional banks, and explored the opportunities and challenges of creating a truly co-operative bank dedicated to the South West. The need for regional banking was highlighted in the RSA’s Inclusive Growth Commission, which highlighted that the lack of access to appropriate banking and financial tools can have a serious impact on people on low incomes or with a poor financial history, as well as on SMEs and micro businesses. Incredibly, there are over 1.7 million adults in the UK that don’t have a bank account, while at the same time the pace of branch closures has accelerated rapidly, leaving 1,500 communities without a bank – as we are well aware here in Glastonbury! Whilst already severe, these challenges are likely to become even more acute in the context of Brexit and upcoming reforms to local government financing. There has never been a more urgent need to rebalance the UK economy. The RSA are supporting the Community Savings Bank Association to create a UK-wide network of customer-owned, regional banks to serve the everyday financial needs of ordinary people, local community groups, and small and medium sized companies. The Green Mayor of Glastonbury, Cllr Emma George, with the organisers of the South West Community Bank event. L-R: Paul Manning (Glastonbury Chamber of Commerce), Tony Greenham (RSA Director of Economics), the Mayor, Mark Hall (RSA Deputy Head of Engagement), and Kevin Redpath (Last Bank Standing). 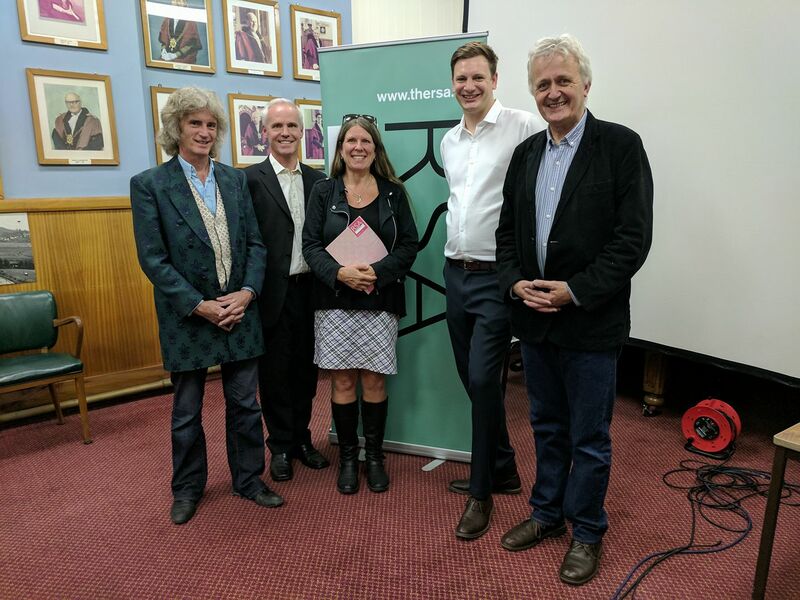 The Glastonbury event explored the motivations and barriers in Glastonbury – and other local areas – to establishing this kind of bank, and the role that different stakeholders could play in catalysing the establishment of a South West bank.